Enjoy a fun and interactive adventure walking tour through one of the fastest growing cities in the US. Your guides are passionate about Denver and will take you to places you would not find on your own. Explore Denver with a local, see where residents play and connect with the community. Learn about the history of Denver from the Wild West days to modern boom town and feel the current culture and vibe. Each tour will be a unique experience. End your tour atop the Art Hotel’s stunning terrace. First drink’s on us! The tour will start at the Denver’s Union Stationa (3pm) and take you on a journey through Downtown Denver. 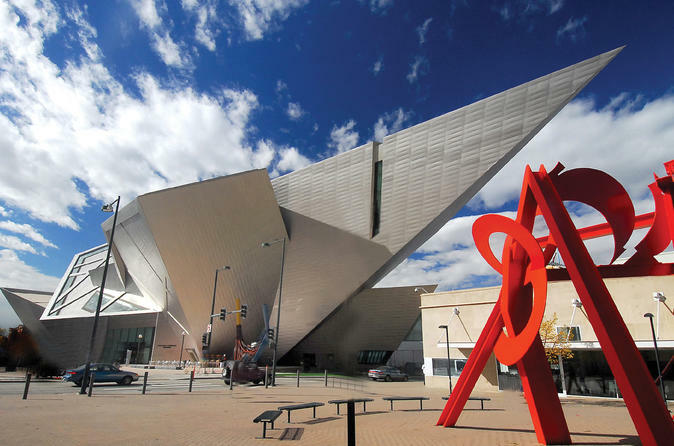 Stop at significant sights, view beautiful and creative public art, have a drink at a local hot spot, and hear inspirational stories that make Denver and the surrounding area unique. Learn all about the history as well as the current happens of this up and coming city from a local expert. From the wild west days to the modern city it is today, there will be many fun and unique stops throughout the tour. Also get great restaurant, brewery, and shopping recommendations from our passionate and informed guides.